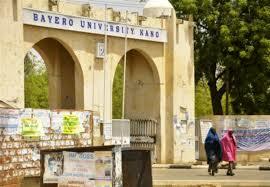 Bayero University, Kano, BUK School of Postgraduate Studies [BUK SPS] Online Registration Guidelines/Procedures for Fresh and Returning Students for 2018/2019 Academic Session. Returning students need their (i) Registration Number, (ii) Last Session's Username and (iii) Last Session's Password for authentication. Returning students have a choice of changing their password at the point of authentication. Note that Payer (Payer's Full Name, Payer's Email, Payer's Phone) means the student, so even if the student is not the one making the payment (payment by proxy) make sure to use the student information. Any misinformation may lead to unnecessary delay in validating and processing of payment.